We are in the midst of the busy tax season. I have a love/hate relationship with tax season, but it is a season that can’t be avoided. Even if I am expecting a tax refund, this time of year still drives me crazy. Can you relate? Ideally, you won’t be getting much of a return. I say this because I learned that it is best to put yourself in the position where you are having more access to your money throughout the year. In reality, a nice tax refund is giving the government a loan to your money throughout the year, interest-free. Then, when everything shakes out, they return your money back to you in the shape of a tax return the following spring. Looking to get your finances in order? Enter your email below to join our budget intensive class called 5 Day Budget Rescue. Just enter your email below so we know where to send your class information! But, maybe like me, you have a lot of deductions and credits that make up the bulk of your tax return. Perhaps for whatever reason, you find yourself with a nice little bonus coming to you in in the form of a tax return. 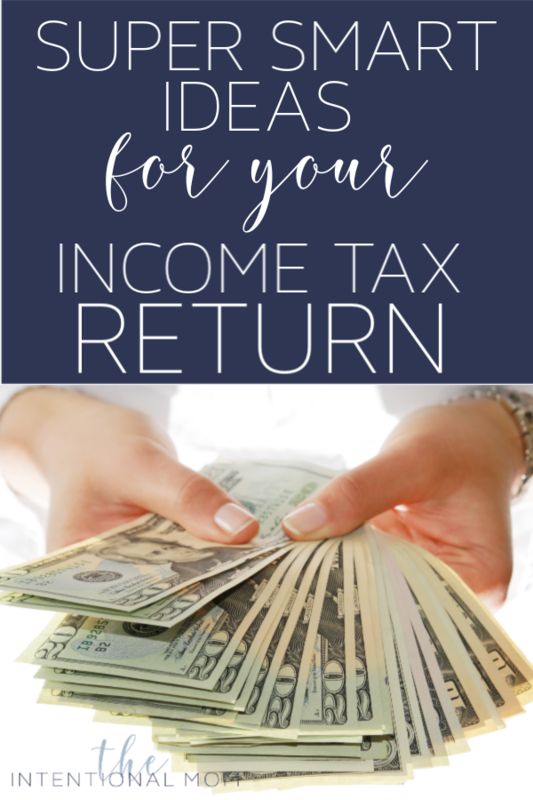 Sure, it’s a great time to perhaps buy a few of the things that you’ve been putting off buying, but what about doing something really intentional with your tax return this time around? Here are 10 really smart ways to use your income tax refund. This really should come first if you don’t have a fully funded emergency fund. The truth is, you never really know when you will need your emergency fund. We would all like to avoid emergencies, especially financial ones, but not planning for them certainly is not a way to avoid them. Trust me, they will happen. This is the whole “out of sight out of mind” principle. Dumping it into a savings account that is earning interest is an awesome way to make that tax refund multiply. Are you carrying a balance on your credit card? At times they are a necessary evil, but now is an excellent time to really start eliminating the credit card debt in your life. You can get really crazy and pay off as much credit card debt as you can with much of your tax refund. But, paying interest on your credit cards is throwing money away, so pay it off ASAP! As with any form of interest, this makes a huge difference in the long haul. Tricks like this is how my husband and I managed to pay off our mortgage in our early forties. Burying your head in the sand about an expense you know you have coming is nice, but it isn’t practical. Think about the things you own…will they need to be repaired or replaced in the next year? Start saving for them now so you’re not left having to drain your emergency fund or throw it on a credit card. I’m really not sure you can ever really save too much for retirement. It is amazing how much it “costs” to retire. So, plan for the future wisely. A Roth IRA is a really easy yet rewarding way to invest. They can be used for all sorts of things. And, since the money isn’t easy to withdraw, you won’t be able to dip into it when you stumble upon something that you’d like to spend your money on like you would if it was just in a regular savings account. Have you used a credit card to pay for some or all of your vacation before? 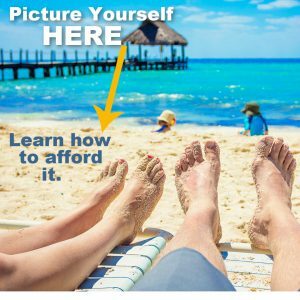 How awesome would it be to pay cash for a vacation? Plan for it now! Christmas comes once a year. It doesn’t catch anyone by surprise, or at least it shouldn’t. But, it is often a reason many people take on some added debt. It’s early in the year, but it’s never too early to start being smart with your money – and that includes saving for Christmas. No matter what it is, there is almost always more to learn. There are a thousand different ways to invest in your future as well. Investing is an active verb. It is something you must do. You must put forth an effort in order to invest in your future in any way. One great way to invest in your future is to educate yourself. I am a firm believer in learning from those who know more than I do. One thing I am an expert in is frugal living and saving money. I didn’t really seek out becoming an expert in these things, but my life demanded that I become an expert in all things money. 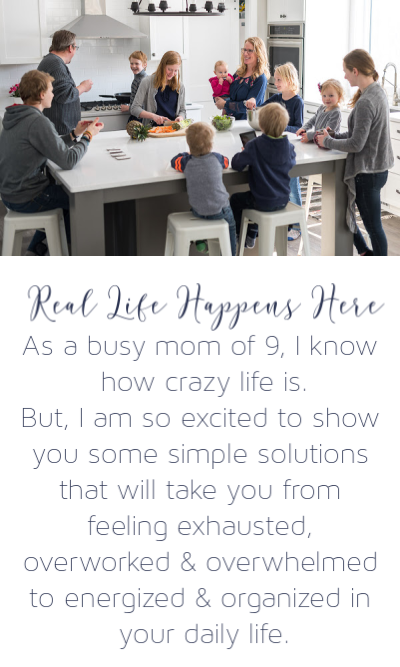 My husband and I have a super-sized family to support since we have 9 kids at the time of this writing, and our income certainly hasn’t grown proportionately to how our family has grown. In fact, there were times throughout my 21 years of married life that we were forced to live on little more than peanuts. 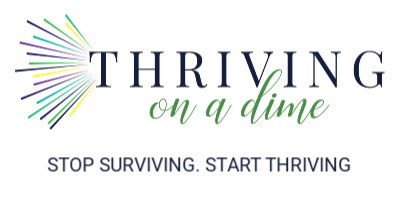 Learn all kinds of smart things to do with your money so you can keep more of it in your pocket by joining our 5 Day Budget Rescue HERE or by clicking below. « Simple & Creative Easter Basket Ideas For Kids That Aren’t Candy!